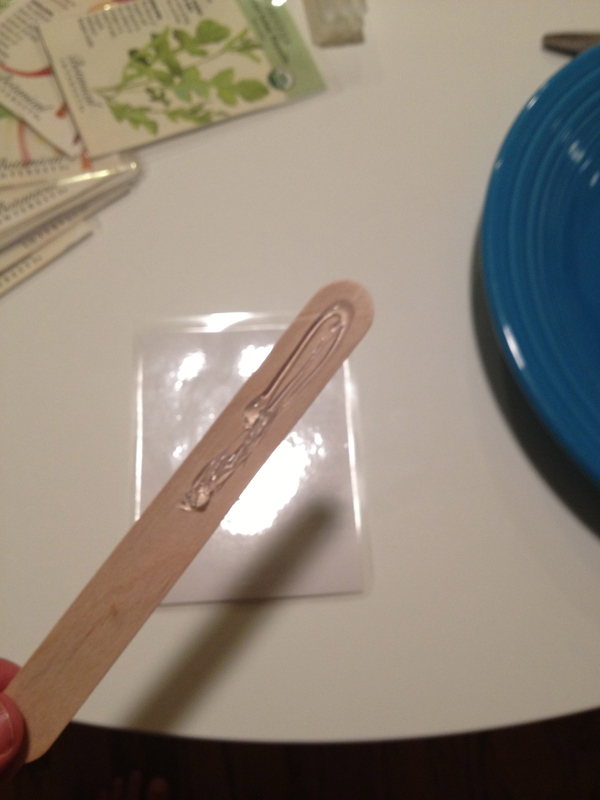 Yes, I have a glue gun and I recently picked up a laminator. 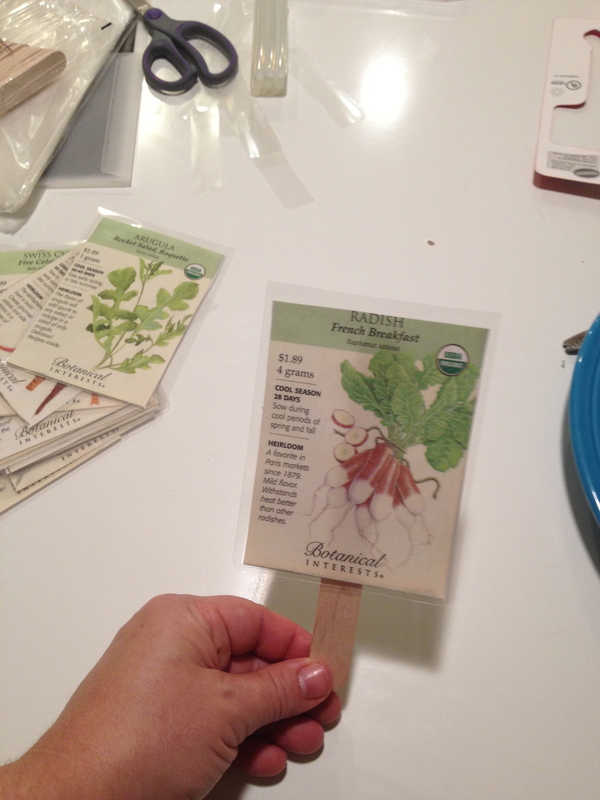 That’s why I decided to make some fancy-ish garden signs so that I remember what plants are which when the seeds I planted on Labor Day start springing from the ground (so far bok choi, snow peas, and mesclun are winning for speed). 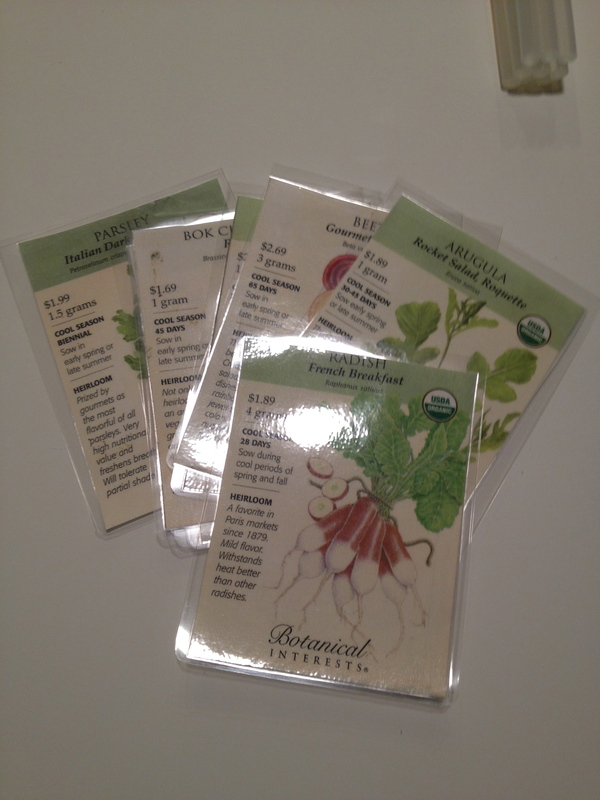 First, I grabbed the seed packs (yes, they are all Botanical Interests) and made color copies of their pretty fronts. 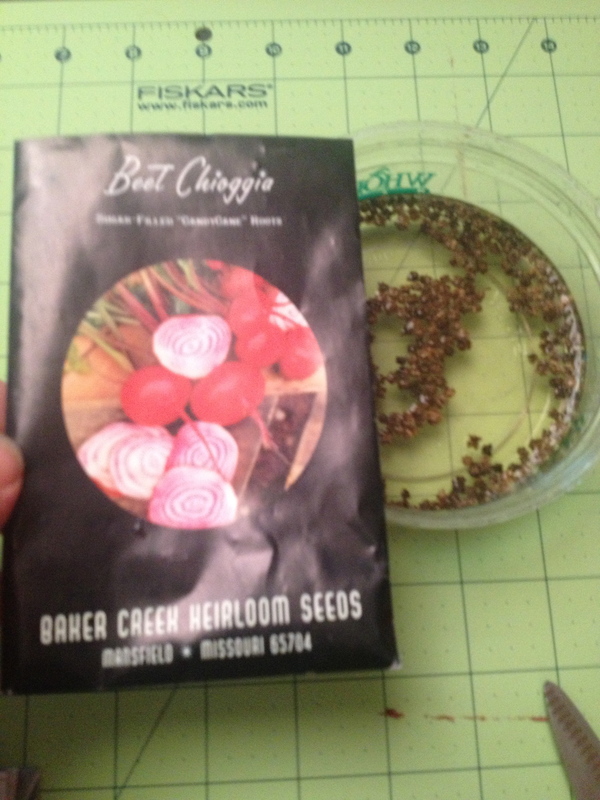 You may wonder why earthy-crunchy me didn’t just reuse the seed packs. Two reasons: I haven’t necessarily emptied each pack and there’s important growing info on all four sides so I like to keep them for reference. 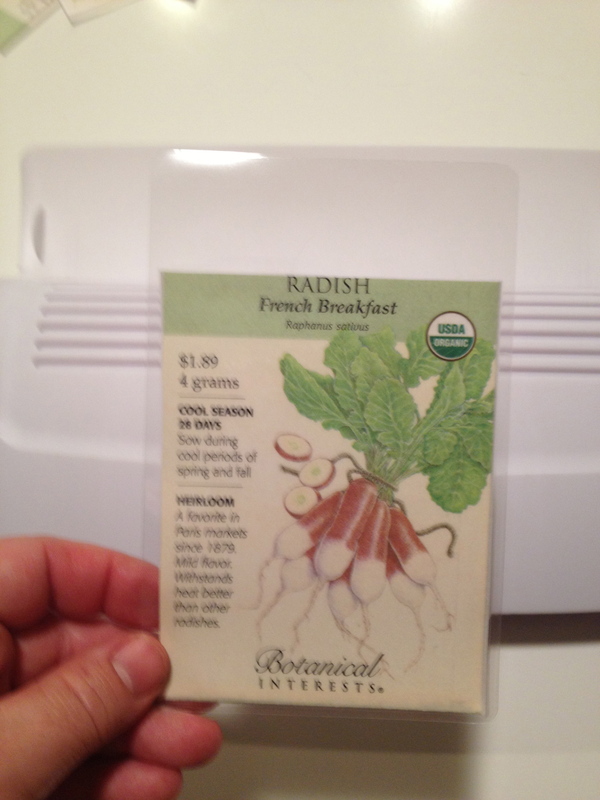 And I suppose the third reason would be that I’m not sure the laminator could take the thickness of multiple layers of seed packet paper. Second, I fired up the laminator. It’s only the third time I’ve used it. 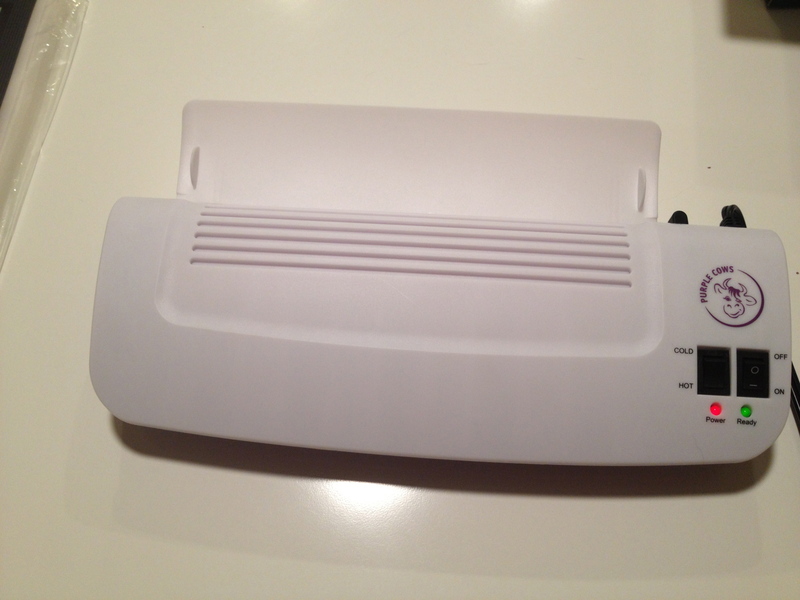 It’s not a very fancy one and cost less than $20 including 100 sheets of laminating plastic. A bargain! It has two settings: cold, which is for fragile items like old photos and hot, which is for paper things like my seed pack fronts. Third, I wanted a post for each sign so I grabbed my glue gun and fired it up. 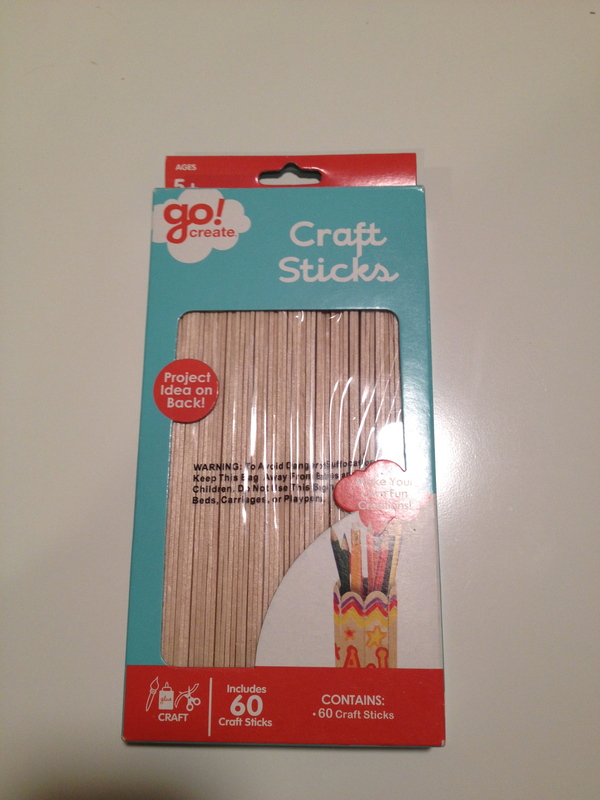 I picked up some craft sticks, aka popsicle sticks, at Target. They’re inexpensive and I think they’ll be durable enough to stand up for the season. And if they don’t stand up to water and soil well, I bought 60 so I’ll have replacements available. voila: a little seed sign! It didn’t take very long and I had a lot of fun with this little craft. Best of all, anyone who looks at the washtub, planters, raised beds and stock tanks will know exactly what’s growing there. It was a great Thursday night activity. Tomorrow is President’s Day in the U.S. and Family Day in Canada. In Canada, it’s a statutory holiday so everyone will have a long weekend. In the U.S., the banks, some schools and apparently a few advertising agencies have the day off. Bruce does not (yes, he is bitter). 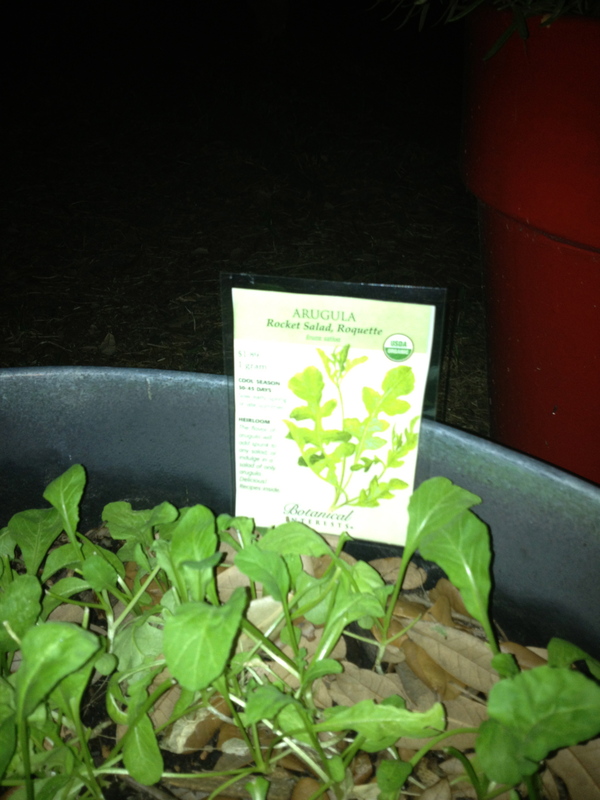 Tomorrow is also a big gardening day for the spring 2013 Mortroski Midcentury Urban Farm. Seeds are getting planted. 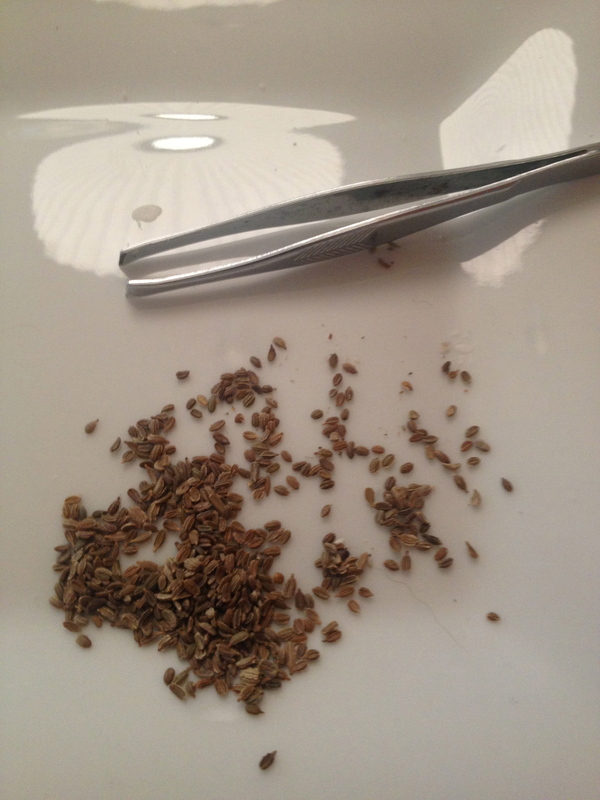 Including so very tiny seeds. The snow and shelling pea seeds are nice and big. Mache and the various lettuce seeds can be scattered and still look nice and grow just fine. But I want to have better carrot, radish and beet crops than I had in 2012. I just threw seeds in the ground and hoped for the best (ok, I did read the packets a bit, but honestly not well enough). Surprisingly, we actually had produce to pick and eat. But this go around, I really want to have TOO MANY carrots, radish and beets to eat. I want to have plenty to eat and give away. 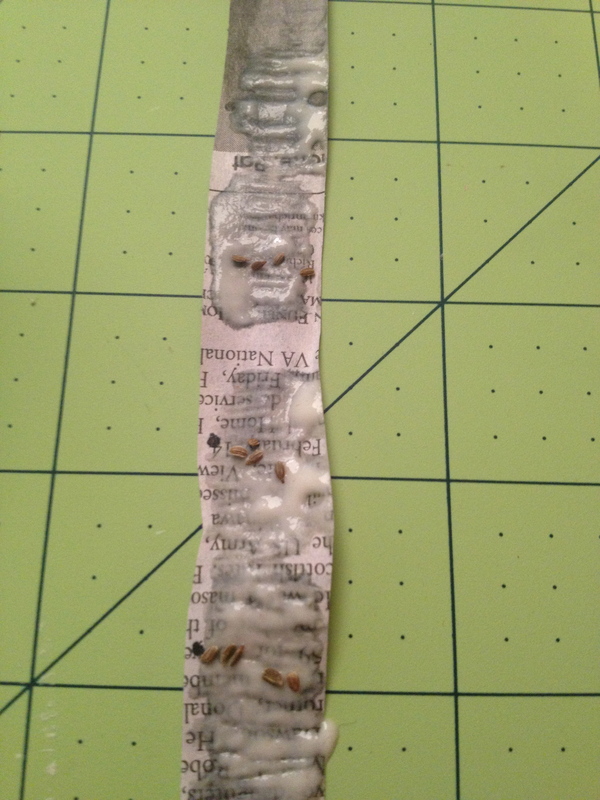 So I tried something new this time: I made seed tape. 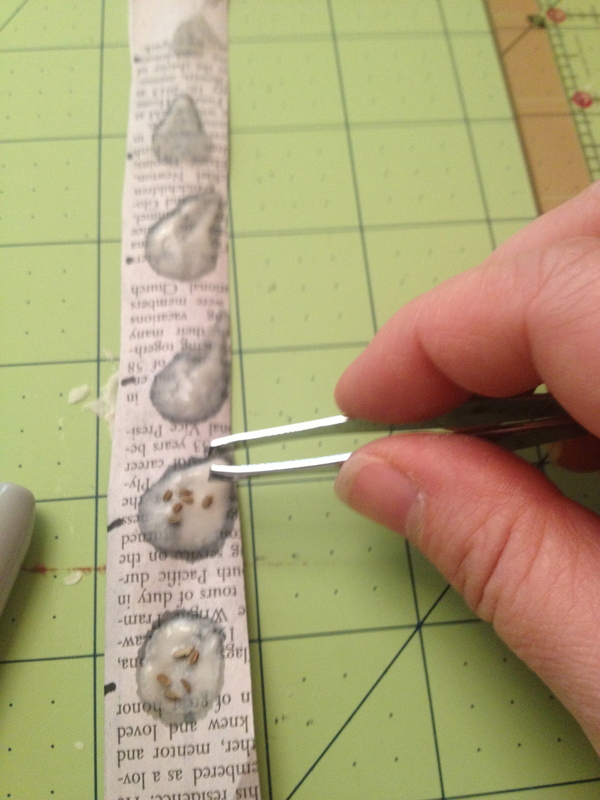 Well, I made carrot seed tape, the radish seed tape will have to wait until tomorrow. 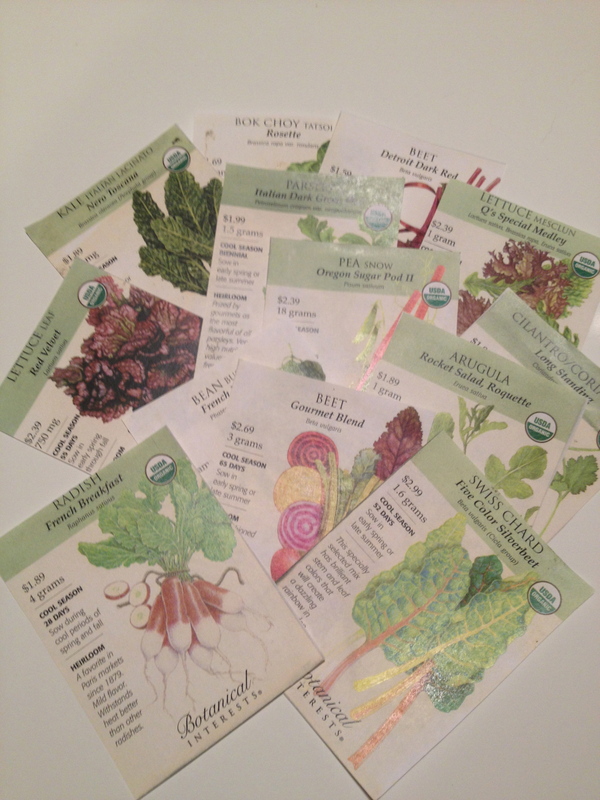 First thing I learned was that I should have started making all of seed tapes months ago when I first bought the seeds and was dreaming of the spring garden, not the day before I planned on planting. A lesson to apply for the 2014 spring garden I guess! I had looked online to get advice on how to do it. Several sites recommended one-ply toilet paper. 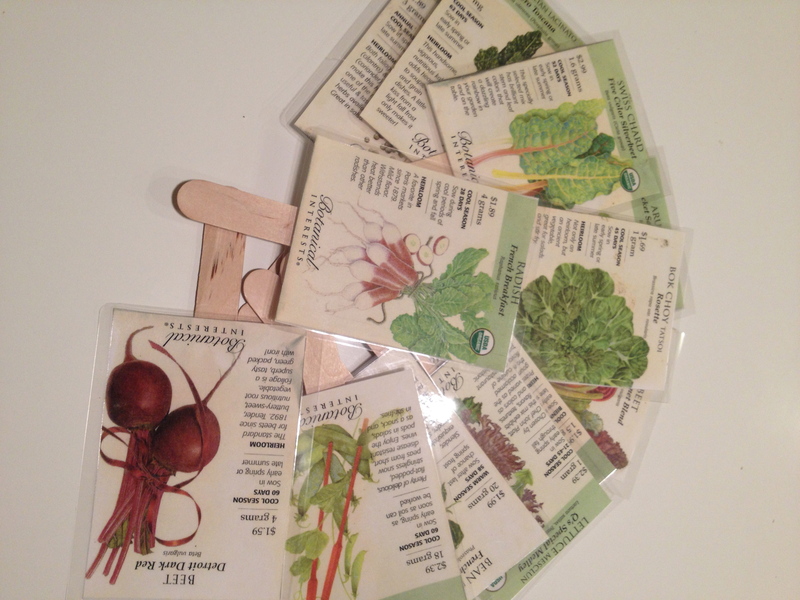 Since we use a fancier product, that wasn’t really feasible without going out to purchase special t-p for the garden. Seemed a little silly. Then others recommended newspaper strips. One problem there: few people I know, including myself, actually read a paper newspaper these days. I thought about asking the guy in the red SUV that delivers the newspaper when we’re walking the 3G Network, but he really seems like he’s in a hurry in the morning for some reason. Then I remembered one of my coworkers gets the Sunday paper because he likes to hang out and drink coffee and get inky fingers. I got him to donate some newspaper to the cause (thanks, Wardo!). this stuff is newspaper. I’m going to save what I have in case it becomes more difficult to find next time i need to make seed tape. 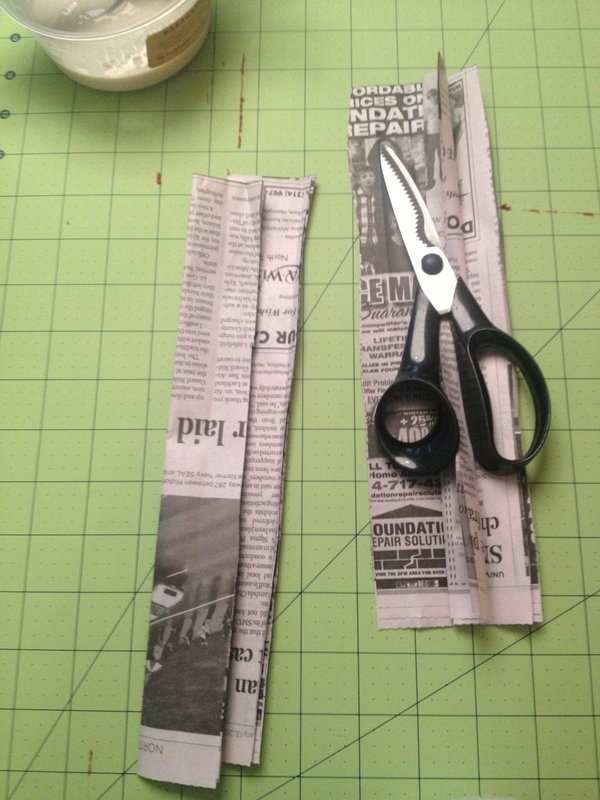 I cut the newspaper up in thin-ish strips. Then I measured off 1 inch marks since carrot seeds need to be planted 1 inch apart. 1/4 cup regular old white flour and enough water to make a paste. I thought the pastry brush would be a good idea but it was not. neither was the spoon. 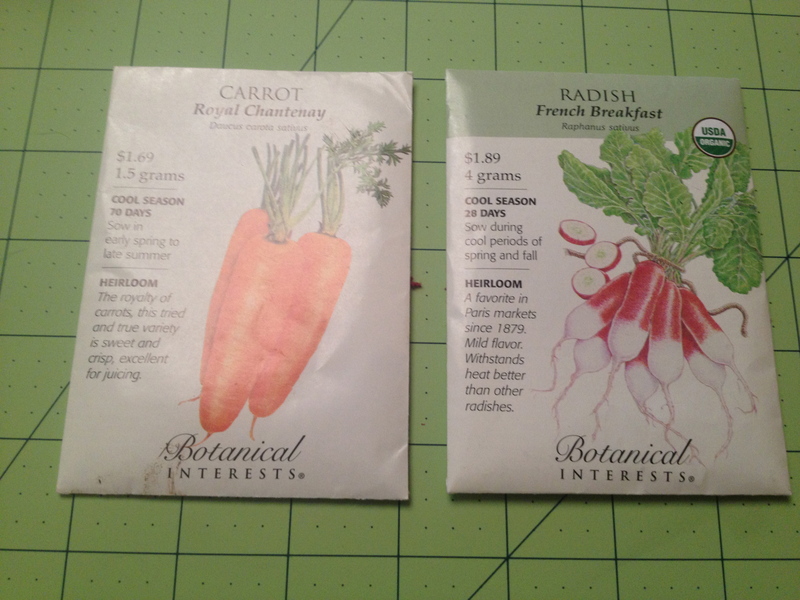 Basically planting carrot seeds (very small! a big pain to count! hopefully worth the effort! 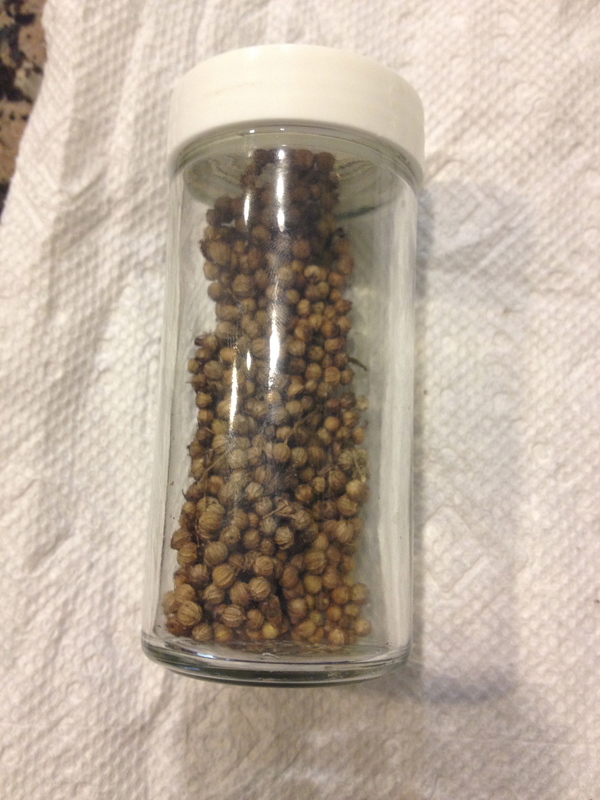 ), requires 4 seeds every inch. Each row needs to be 6 inches apart, although apparently you can plant radish seeds between each row. 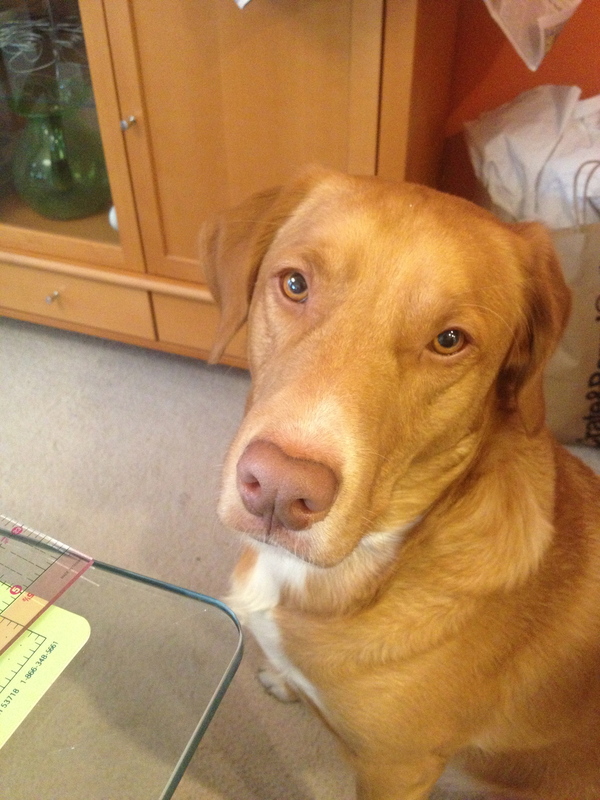 Guinness is feeling much better and insisted on a short walk while I was making seed tape. So we went. 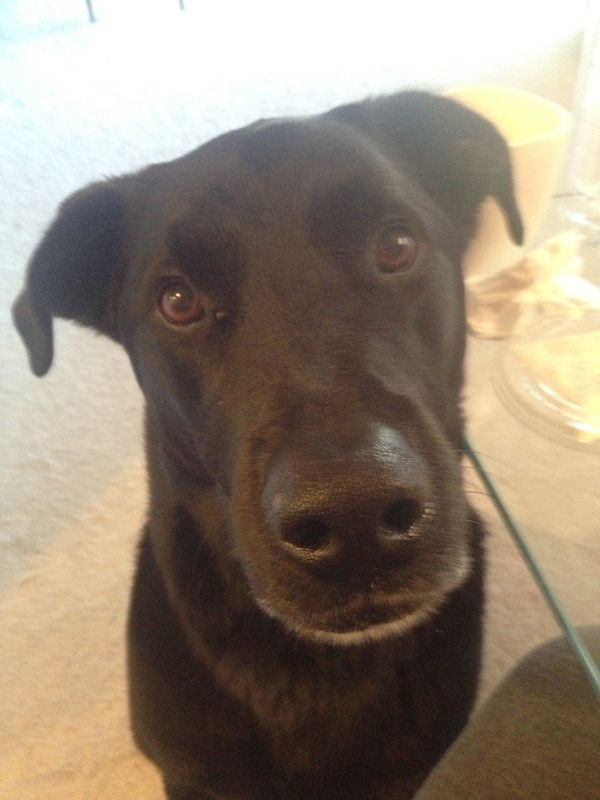 He was mostly looking for handouts. 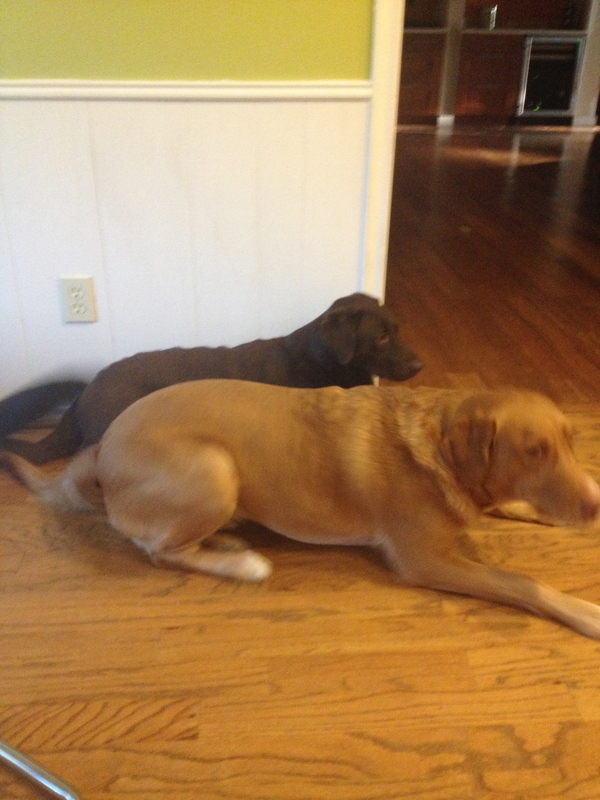 When he realized that I wasn’t baking cookies or something equally delicious, he finally laid down. Boring! 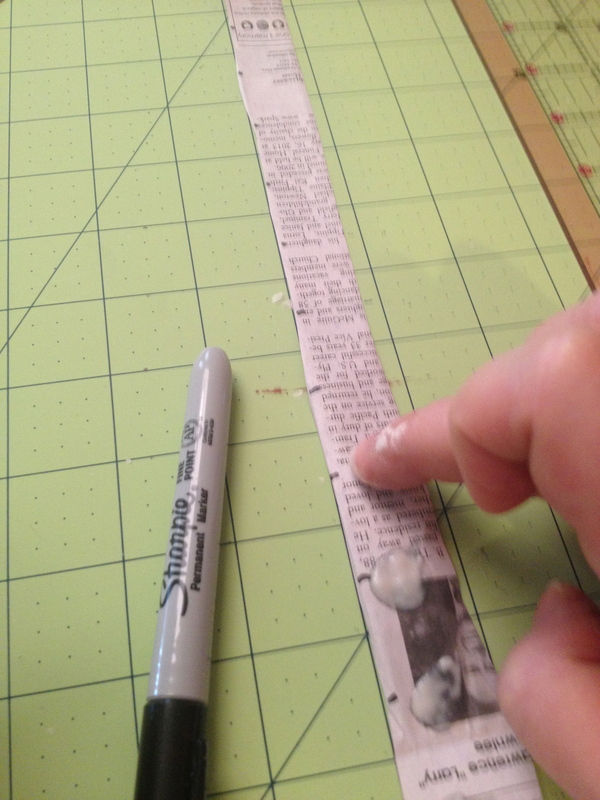 Here you can see me working to perfect my tape making method. I really don’t know what I ever did without Sharpies. I really love them and they were a big help today marking 1 inch increments. 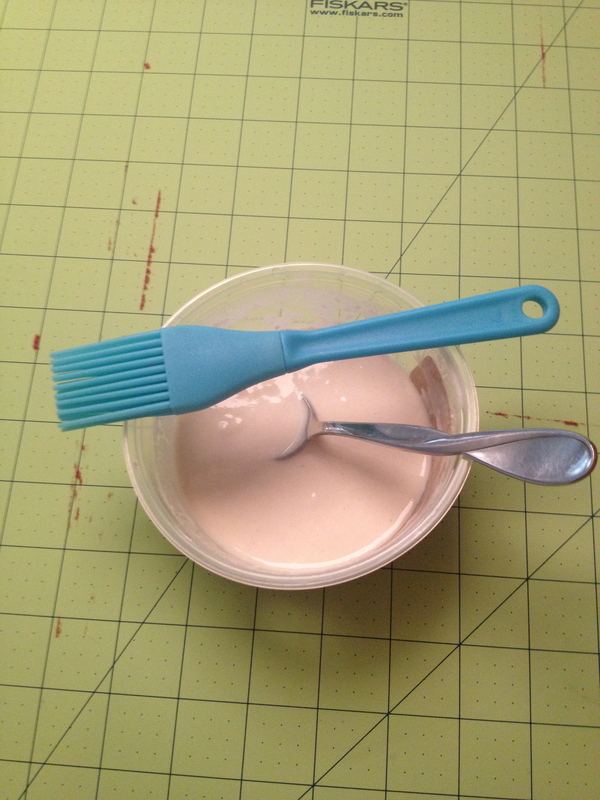 Notice my paste applicator. Yes, a finger worked best for making a nice little blob of paste to hold four tiny seeds. No need for fancy tools. 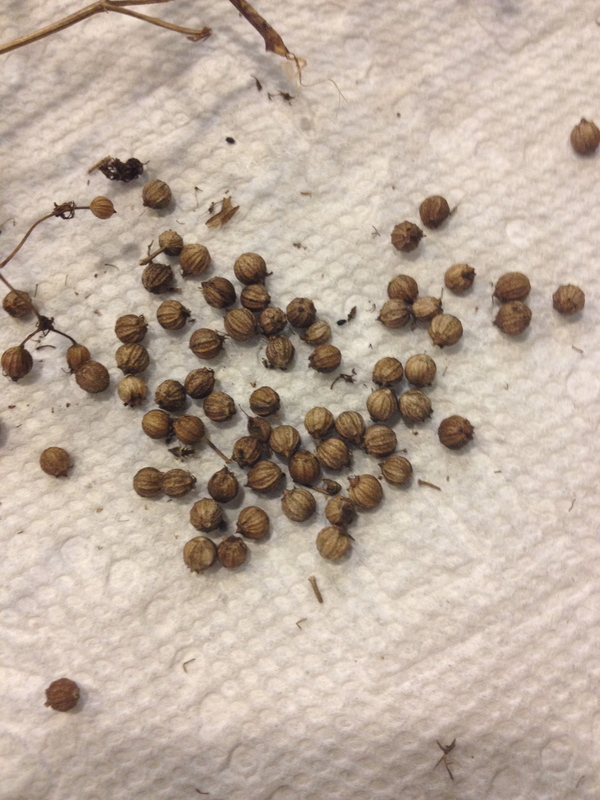 Did I mention how small the carrot seeds are? 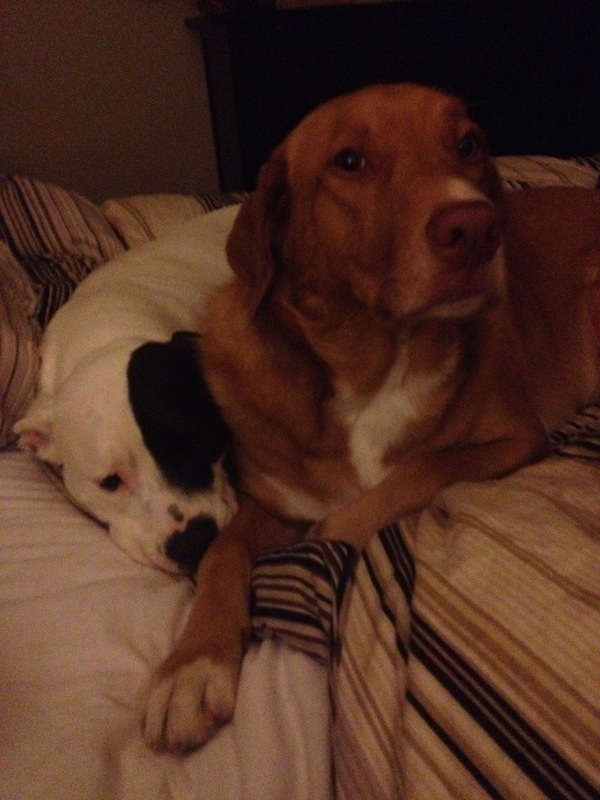 I think that is the #1 reason the fall carrot crop ended up so crappy. Because the seeds were so small I put more than 4 seeds every 1 inch. And because it makes me sad to thin out three carrot seedlings and only keep one, I had a low yield. Not this spring. 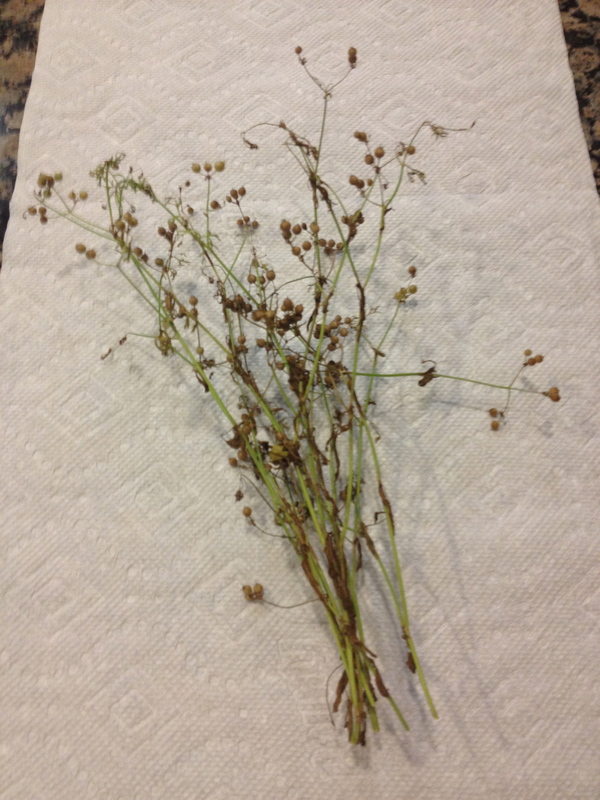 I will be ruthless with my scissors and to make one beautiful carrot, I will eliminate three seedlings. I know better now. So I have made a ton of carrot seed tape, probably more than I need for tomorrow. Supposedly I can roll it up or put it in a plastic bag and it will keep until fall planting. I ran out of steam in the seed tape making after all those carrot seeds and moved on to helping Bruce with other things. 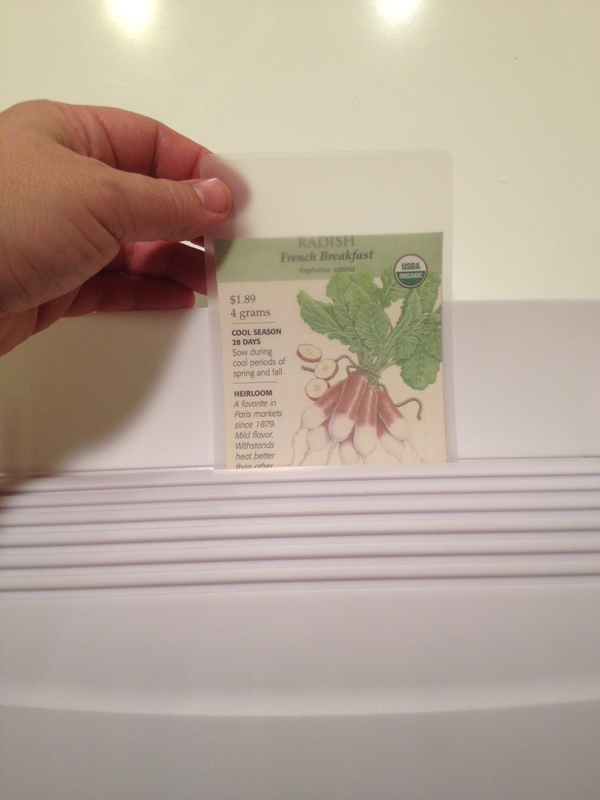 So tomorrow morning first thing, I really need to do some seed tapes for the radish seeds. They are bigger so it shouldn’t be as difficult. 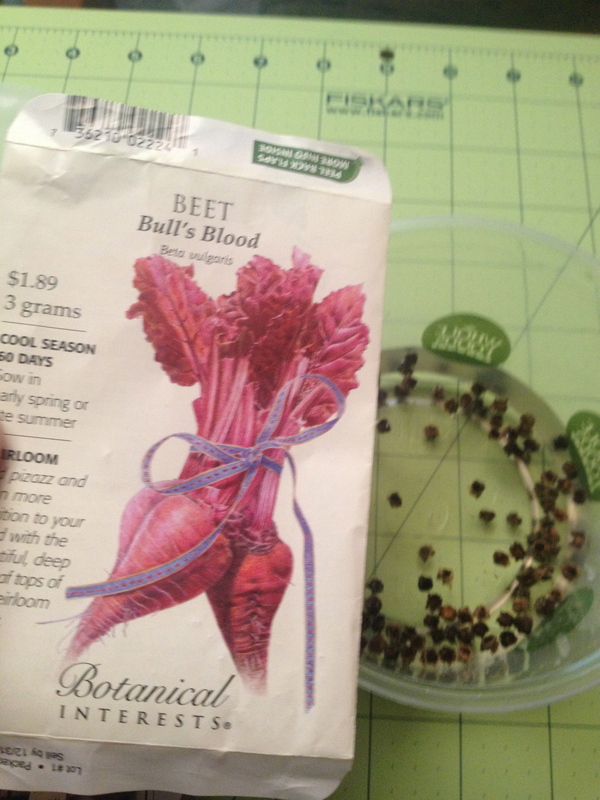 Same goes for the soaked beet seeds. It’s time consuming, but I hope it will be worth it because I really want to do all I can to make the crops successful. And make the raised beds look pretty this spring. Tomorrow, I plant!